SOUTHFIELD (22 June 2018): Two years ago, soul-jazz guitarist dee Brown was preparing for a summer wedding to his fiancée, gospel singer Shaunia Edwards. When her young life was tragically cut short by an unexpected illness, he was devastated, leaning on his strong faith to endure. Shifting his mindset from a mourning period during which he sought meaning by asking “Why?” to a perspective of positivity, Brown turned to writing, honoring the sweet, lasting memories of Edwards and their romance by composing lively, intimate and playful stories of love, laughter and hope. He shares his fond remembrances via the ten new songs that constitute his fourth album, “Remembering You,” his second release for Innervision Records. Determined to make “Remembering You” a joy-filled affair, Brown imparts his charming recollections by setting his lyrically expressive, loose and improvisational cool jazz fretwork amidst ebullient pop nuances, pulsating dance beats and sensual R&B grooves. He picks, plays and scats soulfully throughout, inspired to celebrate his season with Edwards by deriving meaning from her lingering place in his heart, not in the loss of her physical presence. “Shaunia was the reality of my dreams, a woman heaven sent to make me whole. ‘Remembering You’ celebrates her life and our life together. It’s purposely an upbeat celebration, not a mourning. The meaning that I derived from this experience and a message I think everyone can relate to is that we should exalt those in our lives as well as remember those who are no longer in our lives for whatever reason. Tomorrow is coming, but not necessarily for you. Share our love with those with us in the here and now because tomorrow is not guaranteed,” said Brown, who coproduced nine of the album’s tracks. For more information, please visit http://deebrownmusic.com. When jazz great Norman Brown bestows upon you the title of First Lady of Smooth Jazz, you know you are doing something right. 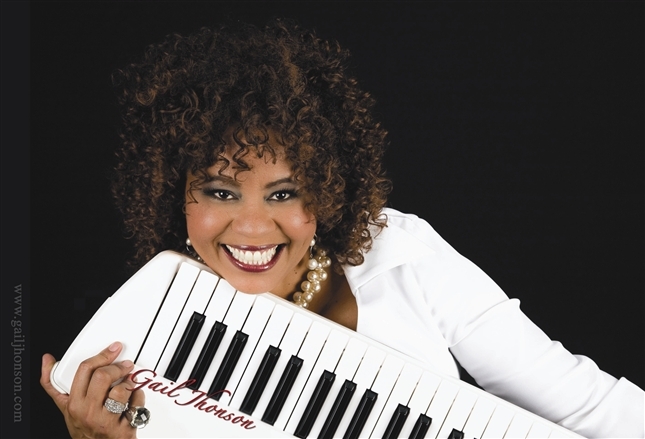 Gail Jhonson has been performing music since she was a young girl in her home town of Philadelphia. She recalls traveling to various venues with her group and being so young that they had to sit off to the side and away from the main crowd. Nevertheless, they continued to woo crowds, and Gail continued to become more immersed in music and fueling her passion. Jhonson’s hard work over the years has paid off and still continues to yield her great things. One of the many highlights in Gail’s career was when she received a Grammy nod for her CD “Pearls” in 2009. I told her that I felt like she was a phenomenal woman for overcoming the loss of a son and still maintaining a heavy presence in the world of jazz. She truly does it all. She’s a recording artist, touring musician, appears on TV shows, and performs at many jazz festivals. To top it all off, Gail is the leader of the all-female jazz ensemble “Jazz In Pink” which is comprised of Karen Briggs, Althea Rene, and Mariea Antionette. The group can often be seen sharing the stage with other women in jazz. Next week, Jazz In Pink will be joining the line-up of awesome artists at the Napa Valley Jazz Getaway. I can’t wait to wear my pink. 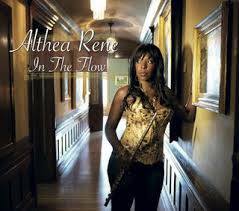 The Jazz Queen interviewed Flautist Althea Rene on Talking Smooth Jazz blog talk radio. Althea is an accomplished Flautist with an extensive background in music. Her current CD is titled “In The Flow”, and is currently #4 on the Billboard BDSradio.com. Follow Althea on Twitter @flautistdiva. You can follow Talking Smooth Jazz on Twitter @Jazz_Queen, and on Facebook Talking Smooth Jazz. REMINDER, click follow at the bottom and/or top of the screen to follow my blog. FOLLOW on Twitter @Pink_BlueNotes, and LIKE the Pink and Blue Notes Facebook Page.